Ladies, the next time you decide to dress up in your Slave Leia outfit, you might need a purse to go with it. 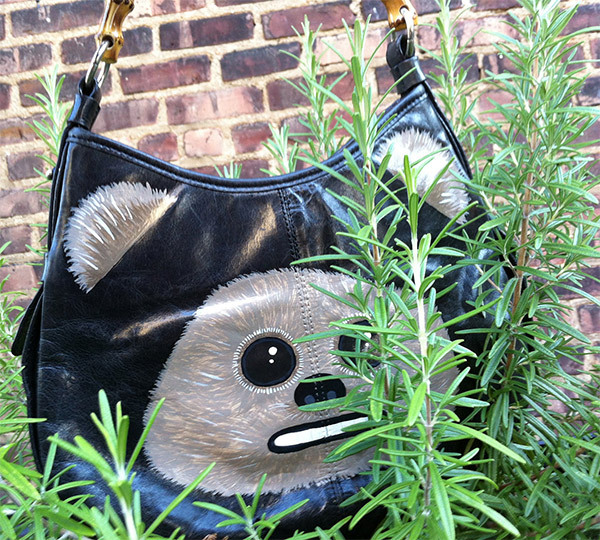 And there’s no more perfect handbag on the planet than this Jabba the Hutt purse I spotted over on Etsy. 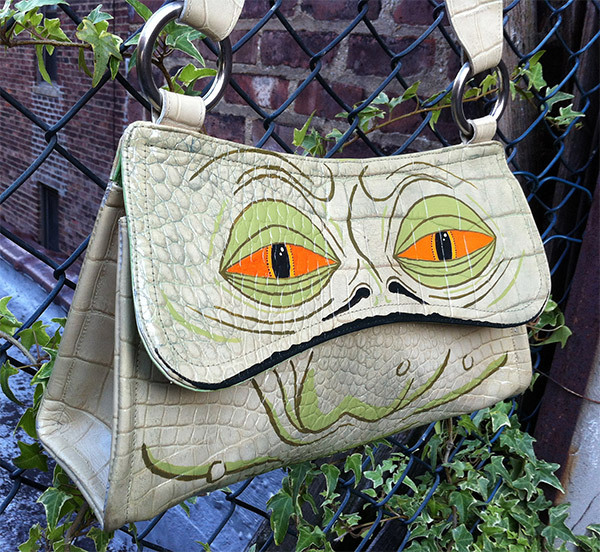 Artist Cat Penfold found an old lizard-textured vinyl purse and gave it the perfect Jabba the Hutt paintjob. She first coated it with a sickly green wash, then painted on Jabba’s beady orange eyes and double triple quadruple chin. His mouth took care of itself thanks to the shape of the purse. 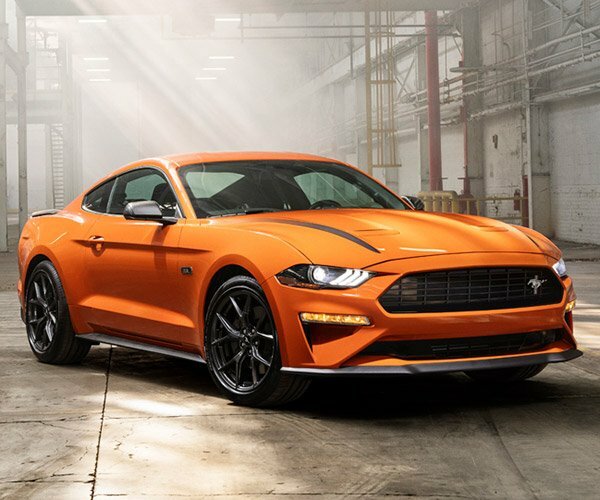 The whole thing has been coated with durable UV-protective finish, which should protect it from the harsh suns on Tatooine.